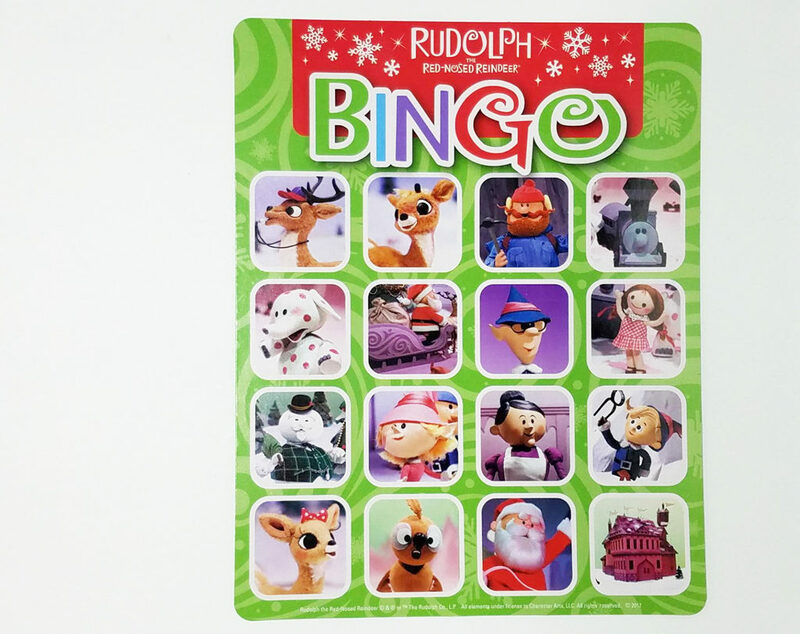 Even Rudolph is allowed to play our Reindeer Games! We recently threw a Rudolph-themed Christmas party at our home, our family and closest friends all attended. We pick our party themes a year in advance, this helps save money and gives us time to plan each year’s shindig. 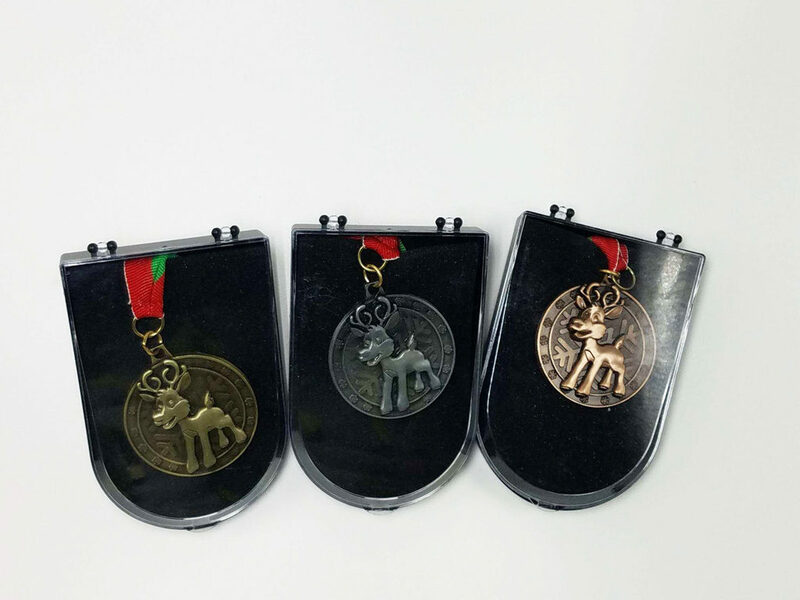 I found these reindeer medals online this summer, and I was immediately inspired by them. This inspiration led me to incorporate Reindeer Games into our party’s theme. Our Reindeer Games included three rounds of individual competition. 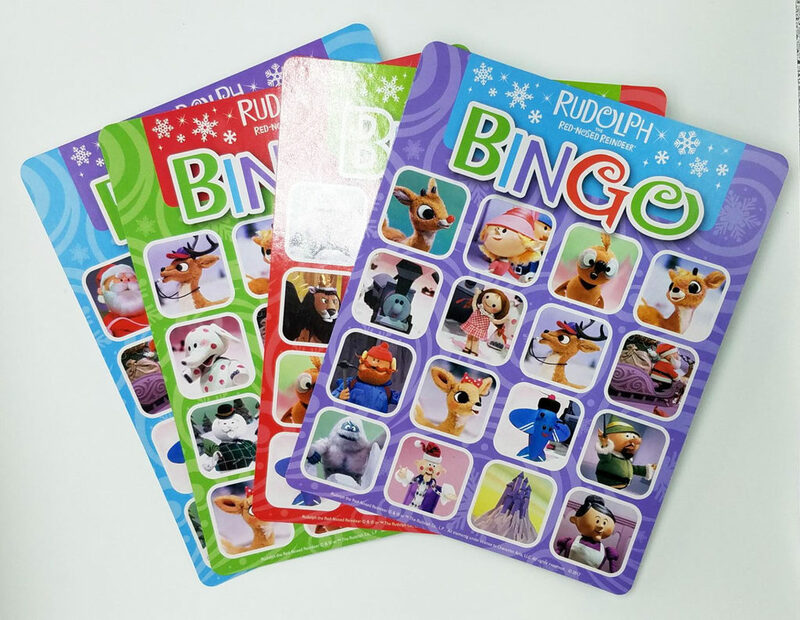 Our party guests are highly competitive and we knew some of them had been prepping by watching Rudolph on repeat since fall. The first round of competition centered around trivia from the 1964 Rudolph movie! We impressed our loved ones by simultaneously showing the trivia questions on our television. Our copy of Rudolph included an interactive trivia game in the special features. We quickly realized who at our party was fans of the Christmas classic, and who needs a copy in their stocking this Christmas. Our second round of competition was a themed game of Bingo. We played one round of Bingo until we had ten winners. The Bingo portion of the competition randomized the winners and gave all our friends an equal opportunity to win this round. The third round of competition was Christmas Carol Trivia, which included one Hannakah song! We timed this round of competition and only gave our guests three minutes to complete. No one finished this round of competition! 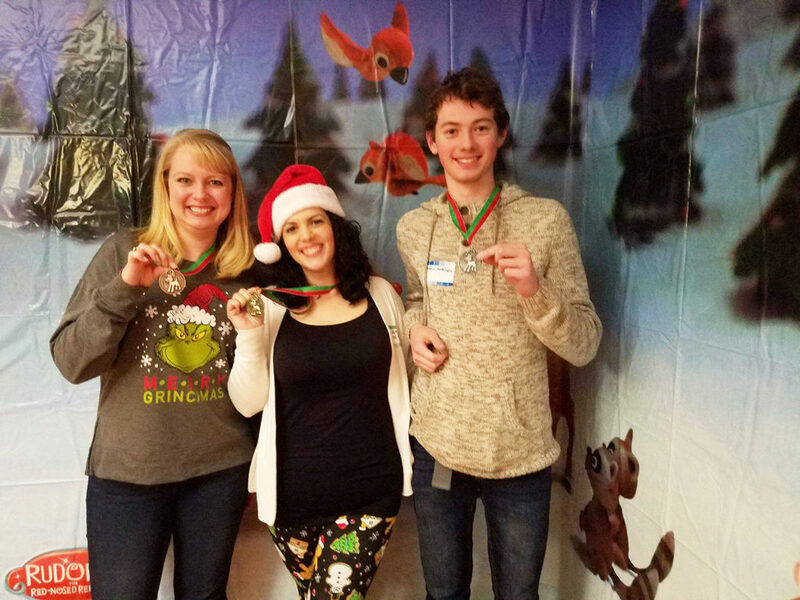 After the three rounds, we tallied up the totals and awarded our winners of the Reindeer Games! Our medalists were ecstatic about their medals, and we all had a great laugh. Our gold medalist squealed with excitement when we announced her as our winner of Reindeer Games. And, now the planning begins for next year’s party! We’ve already picked the theme, but we are keeping it all under wraps.